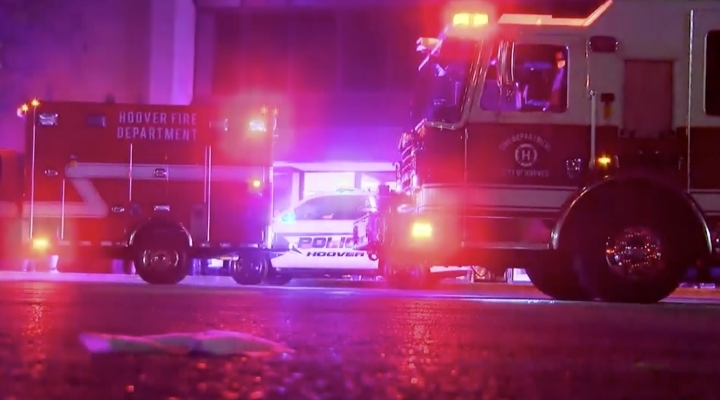 HOOVER, Ala. — A man killed by a police officer after a Thanksgiving night shooting at an Alabama shopping mall, was "likely" not the gunman who shot a teenager earlier that evening, police clarified Friday. The incident began with a fight and shooting Thanksgiving night in the glitzy mall crowded with Black Friday bargain hunters. An 18-year-old was shot twice and a 12-year-old bystander was shot in the back. An officer responding to the scene then shot and killed 21-year-old Emantic Fitzgerald Bradford, Jr. of Hueytown who police said was fleeing the scene and brandishing a weapon. Police initially told reporters they thought Bradford had shot the teen after a fight but retracted that statement Friday night. "New evidence now suggests that while Mr. Bradford may have been involved in some aspect of the altercation, he likely did not fire the rounds that injured the 18-year-old victim," Hoover Police Captain Gregg Rector said in a statement. Police said they "regret that our initial media release was not totally accurate." Rector said investigators now believe that more than two people were involved in the initial fight ahead of the shooting, and "this information indicates that there is at least one gunman still at-large, who could be responsible for the shooting of the 18-year-old male and 12-year-old female." The officer who shot the gunman was placed on administrative leave while the authorities investigate the shooting. The officer's name was not released. The officers were not hurt. 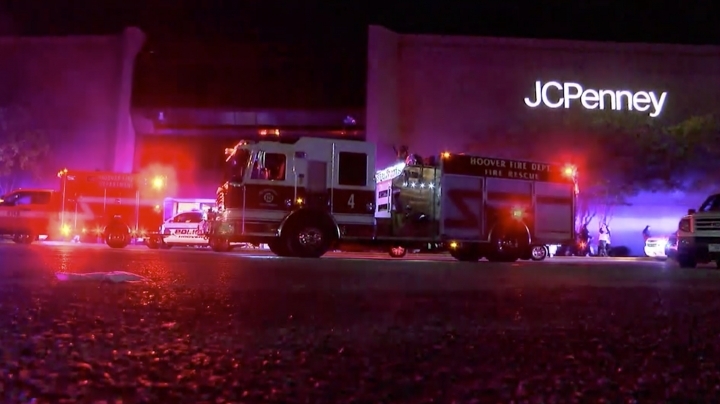 The mall, located in the Birmingham suburb of Hoover, reopened at 6 a.m. Friday, a Riverchase Galleria mall security officer said. It bills itself as the largest enclosed shopping center in Alabama, with more than 150 stores. Hoover police had asked the Jefferson County Sheriff's Office to investigate the shooting, but the sheriff's office turned it over to the Alabama Law Enforcement Agency because a witness is closely related to a member of the sheriff's office.